First of all, the iPad is an amazing piece of technology. Since bought my iPad 2 3G (loving it) started enjoying reading again and it's given a break to my over exploited MacBook. I've put up a list of apps I think are a must have on your device but left games out of my selection because the AppStore top chart is full of it and it's really not the main reason why most of us bought an iPad in the first place! I know that this subject has been discussed on several sites but I thought it would be worth sharing my experience on the iPad and the programs I enjoy using on a daily basis. With over 100,000 apps (and counting) for the iPad and 350,000 for the iPhone you just cannot afford the time and money to go through all of them, so I'll make sure you don't miss out on the best. I never thought I would find myself doing such work on my iPad but these apps give you nearly the full power of their OSX versions. I'm working on quotes, finalizing documents and making keynotes presentations through my iPad which is about 10 times lighter than my laptop. Believe me they are fully worth the $ 9.99. 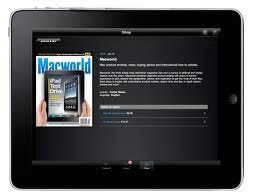 If reading was one of the main reasons you purchased your iPad for and that you enjoy your magazines, then Zinio is the software for you. 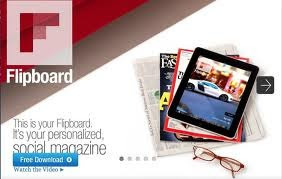 You have a large selection of the worlds most popular magazines (I believe it is the largest digital selection) with crisp display, subscription possibility and offline viewing. It's simple, efficient and relatively cheap. I use this app every morning to listen to some news radio or music It has an amazing selection of radios from all around the world at a high quality bit rate as good as satellite radio, with album cover artist name and song title. 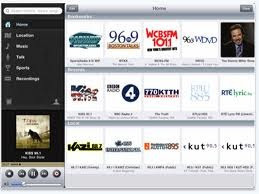 The TuneIn account allows you to sync preferred stations throughout all of your apple devices. This is the app I'm currently using to post this article. It's simple and rich on options. It's capable of connecting to all the popular blog platforms (Blogger, Drupal, MSN, Joomla, Wordpress, My journal, Tumblr etc..) and allows integration of Picassa, Flickr for photos. So far it is the best app I know for this. If you have a MobileMe subscription then having the iDisk app is handy if you need a free app for access to remote storage. It offers basic functions such as browsing, viewing and sharing. 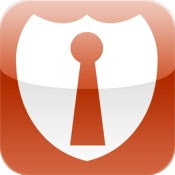 If like me you use keepass ( a great open source and standalone) password management software, then Mykeepass is for you: as it is the iOS version of keepass. It is simple and secure as nothing is stored online, it's all local but you can store your password file on any remote storage if you prefer having access to it online and synced. This is an amazing app I recently discovered and I'm sure you won't find on other blogs. As a small business owner, I needed an application that could create a client, product and supplier database, manage my stocks and follow up my accounting and invoicing. If these are your needs look no further because this little gem brought to us by some Spanish developers is very promising and so far the best of it's kind. I forgot to mention that it includes a cloud service as well. I'm really looking forward to the upgrades to make it more stable and maybe a cocao interface. Does not need to be introduced anymore but this app is essential if you own an account. Not only it is a great cloud storage app, but also a great document viewer for many formats. I had some ms words documents come out formatted better from dropbox than Pages (although Pages is a great app too). This software is the best in the AppStore for accessing any kind of remote storage (iDisk, Dropbox, Googledocs, FTP, WebDav etc..) and can open the most common files (doc, xls, ppt, PDF, images etc...). The app even allows editing and annotations and is worth every single penny. 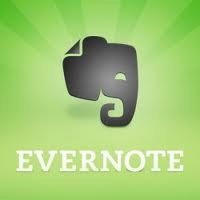 It is a great piece of software for taking notes and keeping them in sync throughout your apple devices. But I mainly use it for my studies and making flash cards. Really it's up to you to find out how it can help you but a must have to organize some ideas and notes. Honestly I don't find this app exceptional but it's convenient as you have all google services indexed in it. Besides the photo search function, I think it's just a collection of shortcuts to google services. Nevertheless it's practical. The iPad app is simple and clean. Does the job flawlessly and the navigator integration is clever. 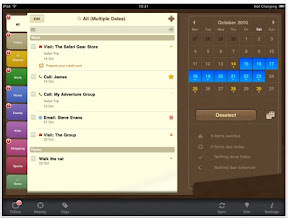 It's one of the most innovative apps for iPad, offering a whole different and amazing way to consult social websites. On top of that it is a powerful rss reader, bringing to life your favorite readers in a flipbook format. Although FaceTime is a great app offering high quality image and sound, it's just not cross platform and doesn't offer the possibility of sending text. Also I get to keep my current friend list. But you have to regret though that there is no native app for the iPad? 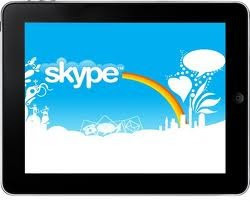 UPDATE: There's now a native Skype app !!! Surprisingly enough the iPad doesn't come with a clock application but there are a few on the AppStore for every need. I found this app simple with a neat interface and decent functionalities for the price ... FREE. And it does the job. There are a few task managers out there but this one is my favorite as it just offers so much details to include in your tasks such as contact, note, voice memo, photo, location and great options as MobileMe syncing and task sorting by nearest location which can help you optimize your movements. You will also enjoy the nice and polished interface. These are the main apps I currently use on my iPad and believe that you'll find them being useful for taking full advantage of the capabilities of your device. I'm waiting for the next !! !